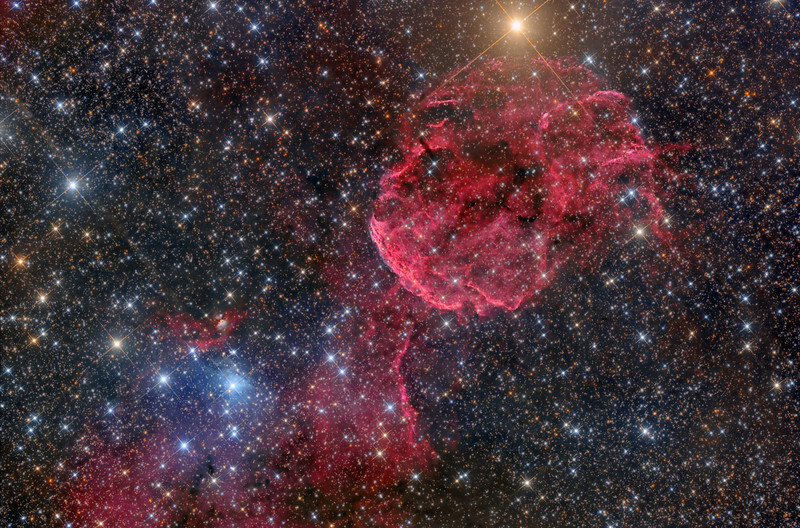 The Jelly is a supernova remnant that exploded 3,000-30,000 yrs ago. Bit of a mystery there. It is about 5,000 light years away and it just larger than the full moon in the sky.